Where there are flowers, there are butterflies! * Tour our pollinator gardens and enjoy the beautiful sight of colorful butterflies in flight as they fly from flower to flower in search of sweet nectar. 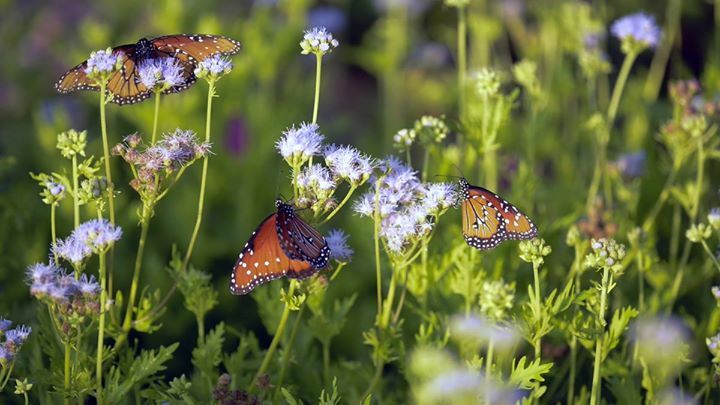 * Learn about the Monarch and other butterflies found in Central Texas and find out which native plants they use for food and where they lay their eggs. * See butterfly eggs, caterpillars and chrysalises close up on a behind-the-scenes tour of the insectary. * Go on a butterfly scavenger hunt! The garden opens at 6 p.m. and the activities begin at 7 p.m., so come early and pack a picnic dinner to enjoy on the Play Lawn.